Of course I’m anxious. Wouldn’t you be? The book I ran away from, repeatedly, is finally published. And now I wait. Except, several bloggers have done a lot to make the waiting easier. 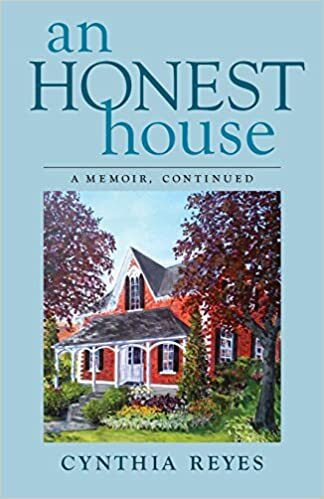 Some sent me wonderful email reviews as they read An Honest House: “I’ve reached (this) part now and I’m loving it!” Or: “I stayed awake till 2 in the morning, reading!” And so on. That’s a new experience for me, and I appreciate it. Then, Sally Cronin, a European blogger who has done much to help authors and other bloggers around the world, kindly highlighted An Honest House. Relax. You’re in good hands. 🙂 It sounds like you have another great book to share with the world. Kudos Cynthia. 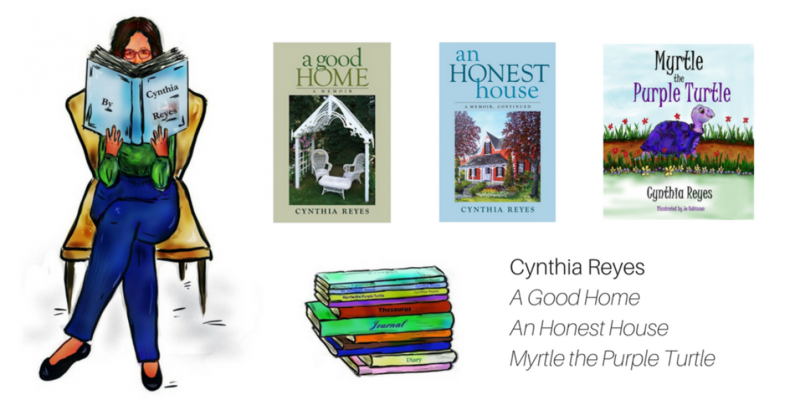 Cynthia, after An Honest House was published I thought it was about time I read A Good Home which I bought some time ago! I can’t tell you how much I loved it – I read it in two days and felt like I was in a magical world – I had a lump of emotion in my throat every few pages, it seemed! I loved your world, your homes, the people and the stories. I laughed when I read that you’d slipped into the Canadian pronunciations of ‘hoose’ and ‘oot’ because that’s just like our local accent here in the north of England! I loved the story of the painting, of the rectory, of the way Kinu integrated you into the neighbourhood, of Hamlin finding your stories – and the return of the farmhouse’s children, which I remembered you telling me about. And I loved the evolution of your thoughts about people – your grandmother, your Chinese family, your neighbour. I was glad when I reached the end that I could start the next straight away! (PS I’ve reviewed A Good Home on Good Reads and AmazonUK). Andrea! What a wonderful review. You got it… you really, really got the magic in the book. There are people who read the book 5, even 6 times, and aren’t always able to say exactly why they keep returning. But I think it’s the magical world you talk about. Magic does come in different forms, doesn’t it? Thank you so much for reading A Good Home, and for your kind comment. Already? You’re a fast reader! Wow Cynthia! These are wonderful reviews and of course you deserve them! I still haven’t had time for reading and your lovely book is on the shelf shouting at me. You barely have time to blog (I know, I checked every few days) so why would I expect you to sit and read a book at this busy time of your life, dear Clare? You’ll get to it when you get to it. Hi Cythina, just followed your links, both reviews are lovely. 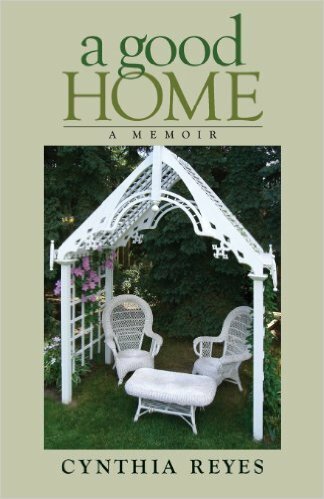 Glad to read your new book An Honest House is being so well received. I have only read A Good Home so far and really enjoyed that. I have your new book on a wishlist. Thanks, Julie. I hope someone delivers on your wish! And you know I look forward to hearing your response. Cynthia, these reviews resonate with my own pleasurable experience of reading your poignant works. I do hope there will be a third helping (memoir) offered in the not too distant future. Maybe I should say: You owe us a book before Part 3 of mine comes out. How’s that for a dare, Madame Writer? I’d love to meet that dare, Cynthia. I’ll give it my best shot of ink. 64,000 words and counting, Madame Author. Oh Lord, I completely forgot how far ahead you are. Hmmm…. no way can I do it. Hands up in surrender. But I am rubbing my hands together now, scheming to find a more realistic dare…. Congratulations! The reviews are in – all good! Thank you! I’m so pleased. Congratulations on the wonderful reviews, Cynthia! You’re in my TBR stack. A great place to be, Jill. Your TBR stack! Thank you. LOL but when I am stressed or worried I often go to my grandmother’s house in my dreams. Which is not really helpful because then I get stressed in my dreams because I can’t find her!!!!! Great review – Gib is tough but reads things well. I love the title of your book. Thank you! when I do readings, I’ve taken to asking the audience what they think the title means. The answers are interesting. You may. Although some people who read AHH are going back and reading (or rereading) AGH next. The stories are complete on their own, so you’re fine either way. Thanks for buying my book. Please let me hear from you when you’re read it. You are so kind, Maxine. Thank you! wishing you and your family a lovely weekend. Congratulations Cynthia! I am very new to your lovely blog but I have just placed an order for your book which sounds as if it would be something I would absolutely love! I really look forward to it! That’s wonderful for you. I just publish my first book on amazon on Christmas and now I wait. Well waiting means a whole lot of work promoting it. But it is an exciting time either way. Congratulations and best wishes to you. It is an exciting time.